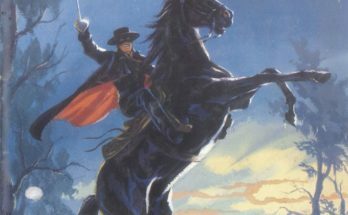 Welcome to “RPG Kickstarters You Should Back” at its new home on the Open Gaming Network (sponsored by the Open Gaming Store)! For returning readers, thank you for following this column. 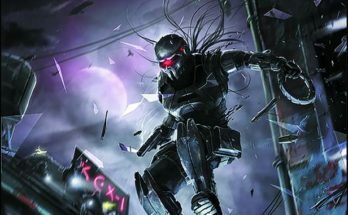 For those who are joining us for the first time, this series reviews some of the best OGL RPG crowdfunding campaigns from Kickstarter, Indiegogo, and more. This week, I’m looking at 5e OGL projects from Kobold Press and Petersen Games, as well as an update of a classic RPG from Frog God Games. Let’s dive in! Ends on Fri, October 26 2018 3:30 PM EDT. “5th Edition roleplaying adventures in the deep and menacing forest, for PCs level 1 to 10. Explore the ancient woods & their mysteries! 2) a Margreve Player’s Guide softcover book of new player options, including new races, druid and ranger subclasses and tools, backgrounds, and forest-themed spells. 3) (if unlocked) a set of thick cardboard standups, the Margreve Pawns, which are similar to those created for Tome of Beasts and the Creature Codex. Here is a small sample of what that would look like; we anticipate producing 150 to 200 pawns (depending on stretch goals). Initially, we debated this as a softcover adventure collection, but we soon realized that it was large enough and compelling enough to make into a hardcover volume playable in 5th Edition fantasy campaigns, together with a player supplement. Why not go big? Kobold Press is doing something a little different with its digital offerings this time. We’re putting our effort into the two print books, and possibly a custom set of pawns—and digitally, full sets of virtual tabletop (VTT) files. That means that we’ll have the Old Margreve adventures and source material available on Roll20 and on Fantasy Grounds shortly after the hardcover and softcover volumes ship. We might release PDFs of these adventures sometime down the road; but given the feedback we’ve gotten from many customers about how they play RPGs, we think that print and VTT formats are the primary way to go. With terrific map management, full suites of digital tokens, pre-set monster stats, and more, virtual tabletops make it easier than ever to just sit down and play. The VTT packages for the Old Margreve will be extensive and include everything provided in the print edition—plus the flexibility and speed of online play. We’re partnering directly with Roll20 and Fantasy Grounds, two of the leading VTT companies, to make these digital versions complete and powerful. Kobold Press is heavily involved in supporting D&D 5e with a variety of well-received Open Gaming License products. Their Tome of Beasts (400+ monsters for 5e), Creature Codex (an additional almost 400 foes for 5e), and Midgard Campaign Setting (for 5e) add a variety of options to 5e. In addition to third-party content, they’re also responsible for the first two 5e adventure paths published by Wizards of the Coast, Hoard of the Dragon Queen and The Rise of Tiamat. To round out their resume, their Kobold-in-Chief, Wolfgang Baur, worked for TSR on D&D 2e and more. Other than WotC, the company that feels like their work is “official” D&D is Kobold Press. With that pedigree, and using the 5e OGL, Kobold Press is creating a new adventure path/setting allowing your party to immerse themselves in the deep, dark forest as they adventure. The forest, the Old Margreve, appeared in some of Kobold Press’ OGL Pathfinder 1e Midgard supplements (examples here and here, among others). This ancient wood is a fully realized setting that’s been developed for one system and, based on Kobold’s track record, will be expertly converted, and heavily expanded, when it comes to 5e. 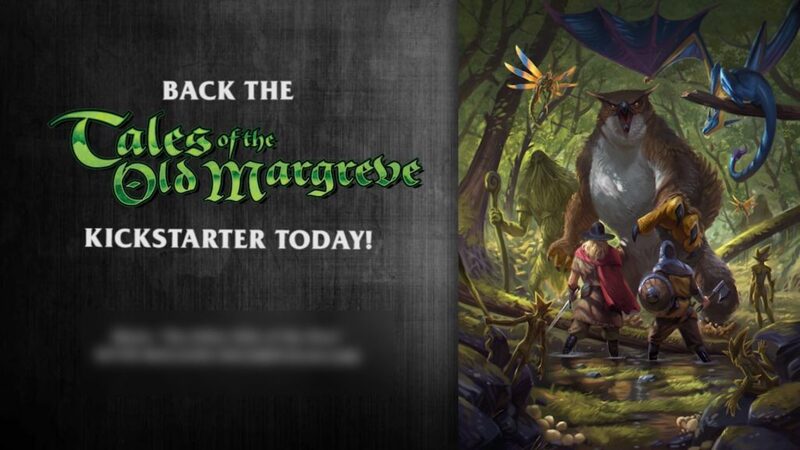 If you’re using the Midgard setting, or interested in populating the world between your cities in your homebrew setting, Tales of the Old Margreve is likely to be a great addition to your table. This crowdfunding campaign ends on Fri, October 26 2018 3:30 PM EDT. You can support this Kickstarter campaign here. Ends on Thu, October 25 2018 2:01 AM EDT. “Bunnies and Burrows 3rd Edition – Something wicked this way hops! It’s not easy being a rabbit. Dangers abound in a hostile world of forests, fields, and farms. You and your woodland companions — rabbits and friends of rabbits — are a tough band of protectors and explorers, ready to take on the challenge. This tactical role-playing game views the world from a unique angle, with different goals and approaches than any kind of traditional role-playing game. Rich and complex mechanisms allow you to cover any angle of rabbit life — including wargaming — if you choose to expand the game beyond the basics of role-playing woodland animals in a world where nature is red in tooth and claw. Frog God Games has partnered with Dr. B. Dennis Sustare and Dr. Scott R. Robinson to return a venerable and influential piece of tabletop roleplaying games to print. This tactical roleplaying game weighs in at approximately 200 pages of full-color adventure in the style of Redwall and Watership Down. Featuring brand new, full-color art by artists Darlene, Moa Wallin, Maggie Vandewalle, Faith Burgar, Terry Pavlet, and others, this book will be beautiful. It also contains a map of the known world (okay, the world is pretty small when you are a rabbit) and printable tactical maps and animal tokens for various encounter types and scenarios. As rabbits, player characters are faced with dangers mirroring those in the real world. The only true “monsters” in the game are humans, but there are many predators, traps, and natural hazards. The characters’ position in the food chain promotes an emphasis on role-playing and problem solving over combat. Originally published in 1976, only two years after the first role-playing game Dungeons & Dragons was published, this original edition is now long out of print. The game was inspired by Richard Adams’ fantasy novel Watership Down, and the players were given the opportunity to take on the role of rabbits. As such, the game emphasized role-playing over combat, and according to Steffan O’Sullivan, “You’re playing a rabbit, after all — how much combat do you want to do?” David M. Ewalt, in his book Of Dice and Men, commented that Bunnies & Burrows “pushed setting even farther” than other early RPGs like Dungeons & Dragons and En Garde!, as the “player characters were intelligent rabbits and had to compete for food, avoid predators, and deal with internal warren politics”. The third section is For The Gamemaster, which explains how to run a campaign and design adventures. As the Gamemaster, you can decide the form the campaign takes, limited only by your imagination. Where will the rabbits live? What quests or challenges do they face? Will you have a campaign that stresses exploration, develops storylines, or is a continual battle to survive? You can decide, and you can tailor your campaign to meet the needs and desires of your players. Bunnies & Burrows is equally well suited to experienced roleplayers or to beginners, even those to whom this will be their first RPG endeavor. The third part is followed by several appendices that the Gamemaster will need as reference material. There is one on herbs, a bestiary, and various player aids. Also included are detailed encounter tables and a 35,000-word bestiary of friends and enemies you can encounter in the game. Also available as add-ons are four B&B adventures intended to be used “out of the box,” meaning you can run them right away with little preparation time. Ready-to-use adventures provide an excellent way to introduce the logic and mechanics of Bunnies & Burrows to players new to roleplaying in general and to players familiar with traditional fantasy RPGs in medieval settings. You will find no armored knights, no hooded clerics, and no staff-wielding wizards in this game. What, you may ask, can rabbits even do? In real life, rabbits are fascinating creatures with surprisingly complex behavior. But the bunnies of B&B can do much more than familiar rabbits! The Fighters have combat tactics that make them a match for fearsome predators, the Herbalists have access to plant lore that creates a world of virtual magic, the Empaths can heal and deal damage by laying on paws, and… well, you’ll just have to see for yourself what else is possible. For the 3rd edition of B&B, the original creators, Dr. B. Dennis Sustare and Dr. Scott R. Robinson, are partnering with Frog God Games to take the best of the prior editions of the game, bring in new art, and add content that will make the game more versatile. Beyond playing a rabbit, you’ll be able to be a raccoon, squirrel, chipmunk, skunk, porcupine, opossum, jackrabbit, or armadillo. As well, their system of herbalism will form “an analogue to the magic systems in other fantasy roleplaying games.” If their source materials, the animal kingdom and Watership Down, speak to you, this Kickstarter is worth your time. This crowdfunding campaign ends on Thu, October 25 2018 2:01 AM EDT. You can support this Kickstarter campaign here. Ends on Mon, October 22 2018 7:00 PM EDT. “The definitive guide by Sandy Petersen. New rules, monsters, classes, spells, etc. for the Cthulhu Mythos. Sandy Petersen, the creator of Call of Cthulhu, is bringing Cthulhu to Dungeons & Dragons 5e. This is a conversion of Sandy Petersen’s Cthulhu Mythos for Pathfinder that kickstarted in March, 2016. Reaching 2,328 backers, and $203,503, that book provides the basis for this project. The Pathfinder version is a hefty product at over 500 pages. 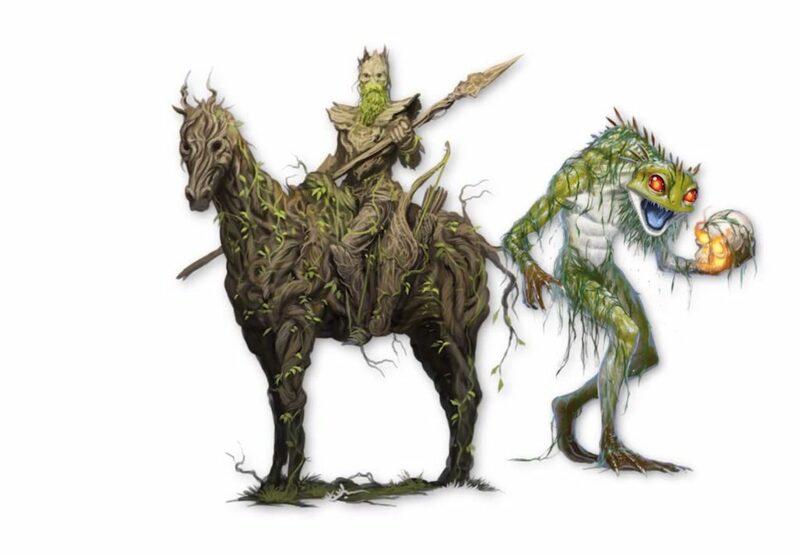 On top of that, the D&D 5e version will add 70 new illustrations, dozens of additional monsters, and more, so expect another (ahem) monster of a book. If you want the most RPG-authentic vision of Cthulhu for Dungeons & Dragons 5th Edition, Sandy Petersen is creating the definitive meeting of properties. 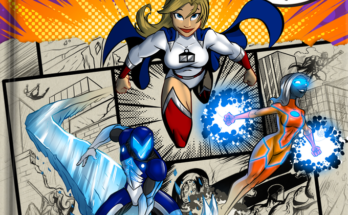 Combining these intellectual properties demonstrates the power of the 5e Open Gaming License. This Kickstarter is more than a crowdfunding campaign, it’s the intersection of history. In 1980, TSR published Deities & Demigods for AD&D. In that version, assuming they were in the public domain, TSR included an unlicensed pantheon, Cthulhu and the other Great Old Ones. The license holder, Arkham House, already licensed the property to Chaosium (who in turn hired Sandy Petersen to create the Call of Cthulhu RPG). After discussions between the companies, they reached a compromise and the second printing of Deities & Demigods included both Cthulhu and a notice it was licensed from Chaosium. In 1981, CoC came out and, in the same year, a new printing of Deities & Demigods dropped with the Cthulhu content removed. In the decades since then, Cthulhu has been available to use in various editions of D&D; however, Sandy Petersen creating Cthulhu content for D&D 5e is history in the making and worth reading through to see this come full-circle. This crowdfunding campaign ends on Mon, October 22 2018 7:00 PM EDT. You can support this Kickstarter campaign here.